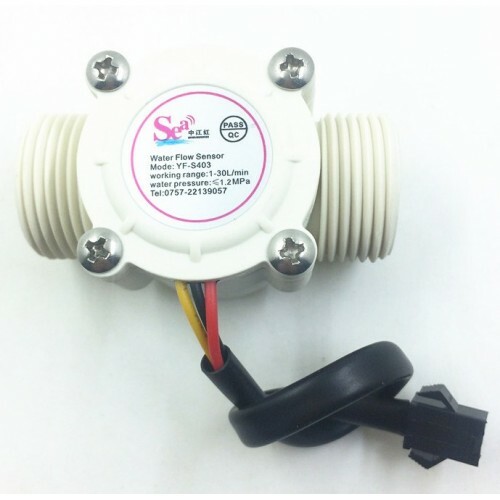 Water flow sensor is mainly consists of plastic valve body, rotor assembly and hall current sensor. 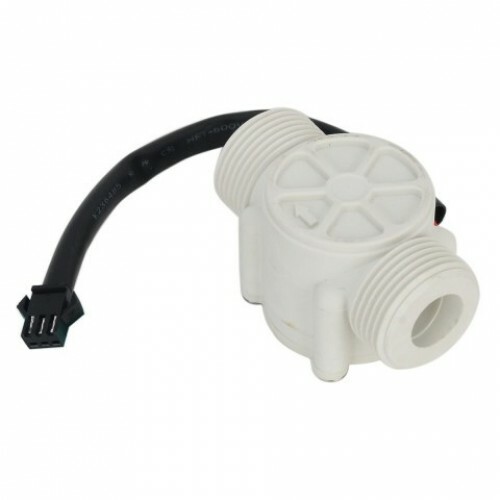 This flow sensor can be used for accurate flow measurement. 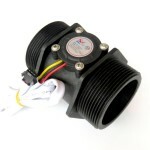 It is installed in the hot water inlet end for detecting water flow. When water through the flow rotor assembly, magnetic rotor will rotate and Speed will change as the flow change. Hall current sensor output corresponding pulse signal and feedback to controller, then the controller will control the flow. 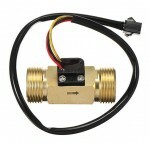 Can be used for water heaters, credit card machines, water vending machine, flow measurement device. 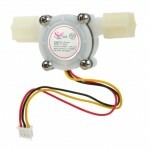 Inlaid with stainless steel impeller shaft, durable wearable. Non-violent shock, and chemical erosion. Mounted vertically, should not exceed 5 degrees inclination. Temperature of medium should not exceed 120 ℃. The lowest rated working voltage: DC 4.5 5V - 24V. 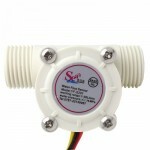 Working voltage range: DC 5 - 18V. Output interface diameter: Ca. Outside 26mm, inside 12mm, 14mm. 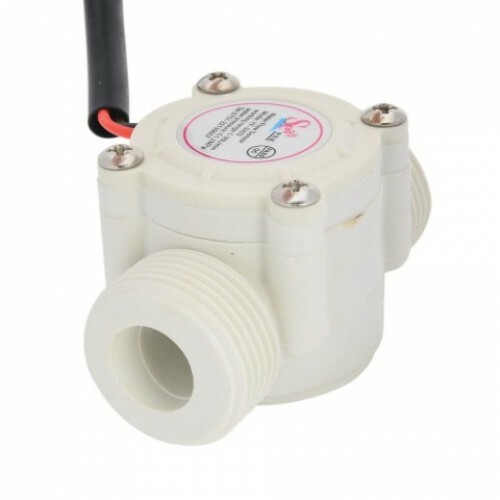 YF-S201 0.5 inch Water Flow Hall SensorAccurate flow measurement is an essential step both in the te..
YF-S402 G1/4" PVC Water Flow SensorThis water flow sensor is basically a small turbine whose output ..
WATER FLOW SENSOR YF-DN50YF-DN50 2" Water flow sensor for 10-200 Liter/MinYF-DN50 is a large 2 inch ..